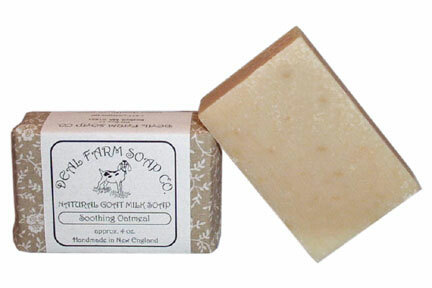 Like our "Pure and Simple" soap, this bar has no added fragrances. If you have delicate skin that needs to be pampered this soap is for you. Oatmeal soothes the skin while adding richness to the lather. This is a wonderful soap for both adults and infants. Recommended for all skin types. Especially good for dry, sensitive or mature skin.